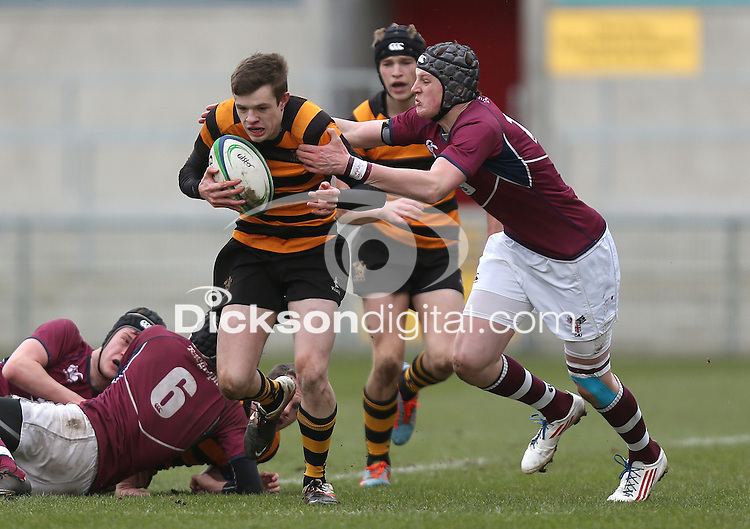 Callum McLaughlin is tackled by Matthew Norris during the 2015 Ulster Schools Cup Semi-Final between Coleraine Inst and RBAI at the Kingspan Stadium, Ravenhill Park, Belfast, Northern Ireland. 2017 Copyright Dicksondigital. All rights reserved.